Bike!Charlotte is from April 29-May17. 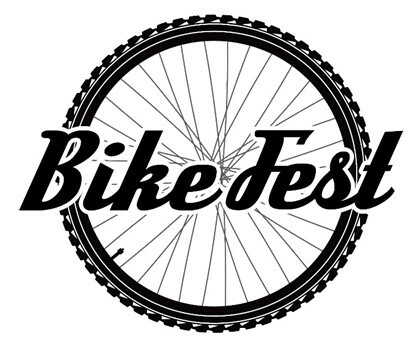 Almost 3 weeks of events of fun bike stuff culminating up to Bike Fest on Thomas Ave on May 15th. Check the BIKE!Charlotte website (http://bikecharlotte.org/) for details. Keep an eye on our calendar for events throughout the year. April 29: 4 – 7 pm: Cycling Savvy Workshop – Day 1 : An adult master class teaching how to drive your bike as a vehicle. Spoke Easy, 1523 Elizabeth Ave.
April 30: 2-5 pm: Cycling Savvy Workshop – Day 2 : bike skills and drills in a closed course. 932 Seigle Ave.
May 1: 1-4 pm; Cycling Savvy Workshop – Day 3: on the road bike tour of Charlotte (Both Class 1,2 prerequisites for Day 3.) Legion Brewing, 1916 Commonwealth Ave.
May 3: 2 – 3 pm: Tues at 2 ride. Advent Coworking, 933 Louise Ave.
May 3: 8 pm: Plaza Midwood Tuesday Night Ride – PMTNR B.O.A.T. Ride: Bikes On A Train! (Meet at 7:30 for safety meeting prior the ride.) Common Market, 2007 Commonwealth Ave.
May 8: 2 pm: Sunday Slow Riders – Mother’s Day ride to McGill Rose Garden; Legion Brewing, 1916 Commonwealth Ave.
May 10: 2 – 3 pm: Tues at 2 ride. Advent Coworking, 933 Louise Ave.
May 10: 8 pm: Plaza Midwood Tuesday Night Ride to Charlotte Cycles (Meet at 7:30 for safety meeting prior the ride.) Common Market, 2007 Commonwealth Ave.
May 15: 12:30: Kids Bike and Pet Parade; depart at at 12:45 PM. The Vine, 2101 Belvedere Ave.
BikeFest is the original open streets event in Charlotte! This will be the 6th year. Come out and celebrate all things bike. Pump up your tires and enjoy Thomas Avenue free of cars. Volunteers are needed. Email pamlikestobike@gmail.com to help out. For more details about BikeFest, click here. Cycling Savvy is a three-day workshop teaching traffic skills and crash avoidance strategies. Workshops are scheduled monthly in Charlotte, and there will be a workshops on April 29-May 1, as well as dates in June and July. Check CyclingSavvy.org for details. Cycling Savvy scholarships are available for those in need. Scholarships are funded by CLT Spokes People and Charlotte Bike Benefits. Support local businesses and help to support Cycling Savvy scholarships through the purchase of helmet stickers. New this year are Cycling Savvy helmet stickers, which also support scholarships. Last year CLT Spokes People funded 12 Cycling Savvy scholarships. Please email Pam at pamlikestobike@gmail.com for details about scholarships. The National Bike Challenge starts May 1 and goes through September. Sign up for the Challenge and join the Charlotte Spokes People team! Help us get Charlotte on the leaderboard again. Last year, we were in the Top 20 cities based on Challenge points. Let’s show the nation that Charlotte is a great place to bike! Sundays at 2 from Legion Brewing. Bike Benefit Bingo is returning from May 1st until the 15th. Get your cards at the Advent ride, PMTNR, or Sunday Slow Ride. Some cards also available at some participating locations including Rhino Market, Three Spirits, Queen City Bicycles, Spoke Easy. Suggested donation of $1 goes towards Cycling Savvy scholarships. Ride your bike to the participating locations and get your card stamped. Bingo players can email finished cards to pamlikestobike@gmail.com before May 15 or drop them off at BikeFest on Sunday, May 15 from 12-5 on Thomas Ave., behind Zada Jane’s. Look for the CLT Spokes People / Bike Benefits / Cycling Savvy table. Pure Pizza – Central Ave. Check out the pocket list (http://cltspok.es/CLTpocketList) on the Bike Benefits website for the full list of businesses and offers. We are the largest program in the country! Support local. Ride your bike for your benefits. Come ride the Plaza Midwood Tuesday Night Ride. We ride every week at 8 pm from Common Market. The ride is never canceled. Meet your neighbors, ride on the quiet streets of Charlotte at night, discover new Bike Benefits businesses. Support local businesses. Be prepared to stop at all times. I've lived in the Charlotte area my entire life. When I am not riding my bike, I run, read, and hike.